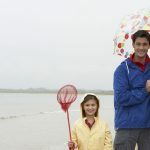 Ballina, Co. Mayo lies at the heart of Mayo North with some of the most beautiful scenery in Western Europe within easy reach of the golden beaches of Enniscrone, Lacken and Killala to the majestic sea cliffs in Ballycastle. This vibrant, historical town straddles the River Moy Estuary and is set in a stunning location between the Ox and Nephin Mountain Ranges. 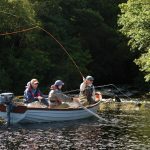 Ballina has officially been designated as Ireland’s Salmon Capital by virtue of the quality of angling available on the Moy, and this status is echoed throughout the town with dedicated walkways along the river where tourists can observe anglers at the world renowned pools, beats and weirs. Among the town’s impressive vantage points are the town’s striking angling-themed pedestrian bridge and nearby Cathedral walk. The Moy is not the only natural wonder in Ballina. Belleek Woods is located a short distance away from the town centre and is one of Europe’s largest urban woodlands with six miles of peaceful natural forest pathways with many hidden secrets to explore, and striking views of the Moy. It is also the setting of the majestic Belleek Castle which contains a 16th century armoury and the unique Marshall Doran collection. Just across the Moy from Belleek Woods is the charming old sea port known locally as The Quay or Crocketstown which has been named as a Discovery Point on The Wild Atlantic Way. Widely recognised as a foodie destination, and recently awarded the ‘Purple Flag’ in recognition of its booming night-time economy, the town is also a cultural hub and hotspot for internationally acclaimed festivals such as the Ballina Salmon Festival, Food Fleadh Ballina, Samhain Abhainn, Frosty Salmon Festival, and many other seasonal events. Ballina is a goldmine of history and culture is steeped in heritage and tradition. 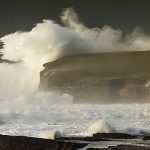 The area provides a truly unique insight into Ireland’s history, from the world’s most extensive Neolithic site at Céide Fields to megalithic tombs dating back 5,000 years to the struggle for Irish Independence during the past 300 years. Not surprising considering its natural resources, the town has evidence of habitation going back thousands of years with a wide range of megalithic monuments in and around Ballina from the 4,000 year old Dolmen of the Four Maols, to Belleek Castle, Moyne Abbey and St Muredach’s Cathedral. Ballina’s hinterland is also filled with archaeology and history and boasts the Ceide Fields in Ballycastle, the most extensive Stone Age monument in the world, which is a 6000 years old and has recently been nominated a UNESCO world heritage site. Ballina, Co. Mayo was delighted to add its newest attraction in 2013 in the form of the Jackie Clarke Collection which is a museum showcasing a collection of nationally and internationally important documents, maps and manuscripts from Irish and European History. The perfect place to time travel through the terrain of Ireland’s compelling past, Ballina is rich in opportunities to explore the nation’s heritage and historical treasures. Want a visitor’s account of Ballina? See Ballina from the skies! This incredible short video from Aercam shows Ballina at its very best.